Companies that make packaging from plants instead of fossil fuels are starting to challenge the oil industry’s ambition to increase the supply of raw materials for plastics. Use of bioplastics made from sugar cane, wood and corn will grow at least 50 percent in the next five years, according to the European Bioplastics Association in Berlin, whose members include Cargill Inc. and Mitsubishi Chemical Holdings Corp. German chemical giant BASF SE and the Finnish paper maker Stora Enso Oyj have stepped into the business to meet demand from the likes of Coca-Cola Co. to Lego A/S. Moviegoers famously learned in the 1967 film “The Graduate” that “there’s a great future in plastics.” Oil companies make ethylene and other basic building blocks for plastic. They’ve been eyeing that market for growth as electric cars threaten to trim demand for gasoline. Plastic material’s ubiquity in packaging has left the world literally swimming in disused bottles, bags and wraps. That’s starting to worry both environmentalists and the companies that use it the most. There’ll be more plastic than fish in the world’s oceans by 2050, according to the Ellen MacArthur Foundation, and those materials are finding their way into the food chain. Bioplastics currently make up about 1 percent of the plastics market, according the industry’s organization in Europe. They are made by processing sugars from plants and tend to have a smaller carbon footprint than their conventional counterparts. Some are also designed to naturally degrade after use. Top producers include Sao Paulo-based Braskem SA, NatureWorks LLC in the U.S. and Novamont SpA of Italy. The International Energy Agency forecasts that growth in the plastics market should boost petroleum demand. It takes about 8.5 barrels of oil-derived naphtha to produce the a ton of ethylene needed to manufacture 160,000 plastic bags, according to Bloomberg Intelligence calculations. Saudi Arabian Oil Co., Exxon Mobil Corp., Royal Dutch Shell Plc and Total SA are expanding their plastic footprints, according to the IEA. The new technology will have to compete against massive refineries that convert hundreds of thousands of barrels of every day into plastics. 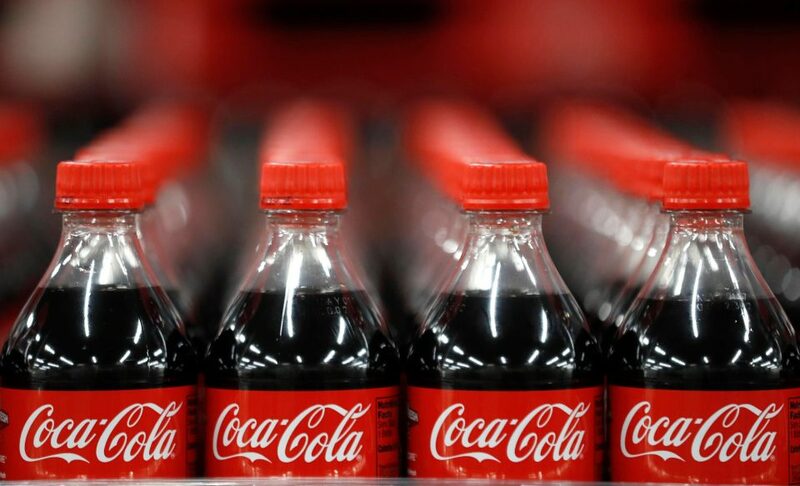 Demand for bioplastics also needs to grow among retailers and consumers, according to Coke. This entry was posted in Market News. Bookmark the permalink.